I love Summer and all the glorious, beautiful veggies that come with it...fresh! 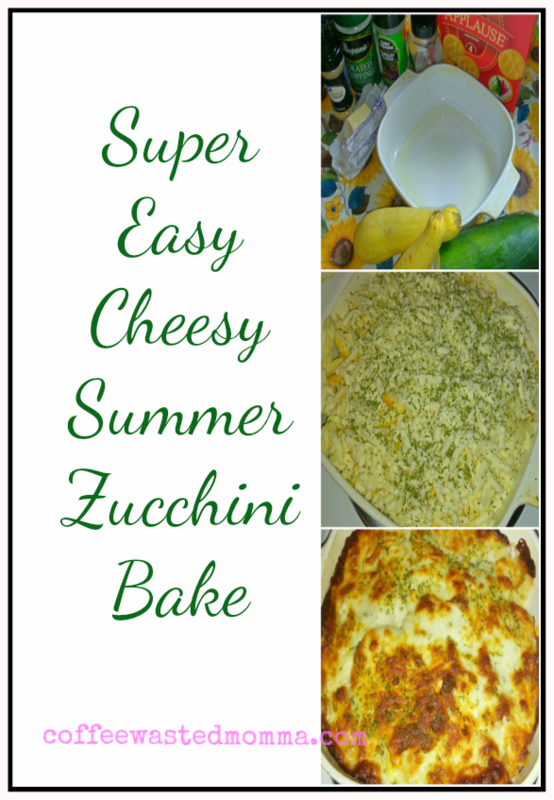 Zucchini are one of my favorites! It is becoming so versatile with all the wonderful recipes floating around Pinterest. 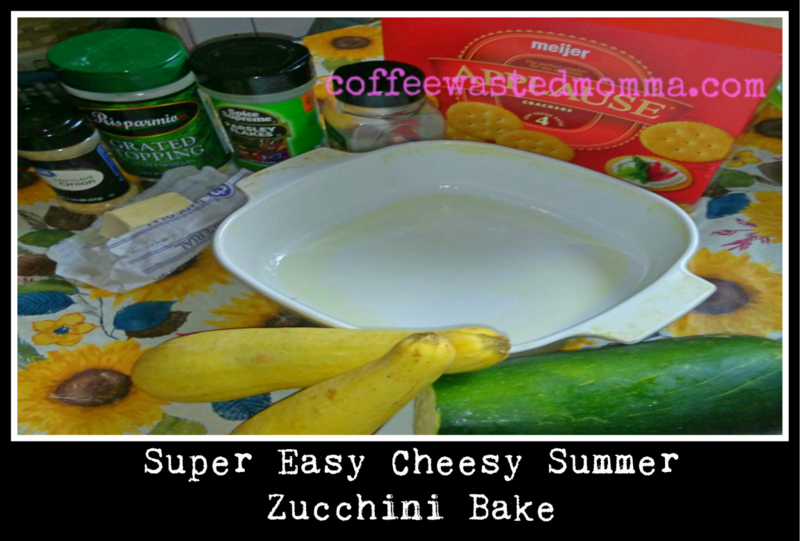 I seriously have found tons of ways to use zucchini. Sliced, diced, fried, baked, and even the new zoodles trend is catching on! 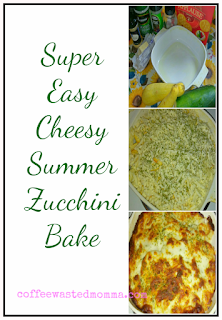 I wanted to try to make up a semi-healthy, quick recipe to use as a new, summer recipe. One that hopefully at least 2 out of the 3 kids wouldn't completely refuse to eat. Here is what I came up with. It is really a mixture of ideas from several recipes I have found. 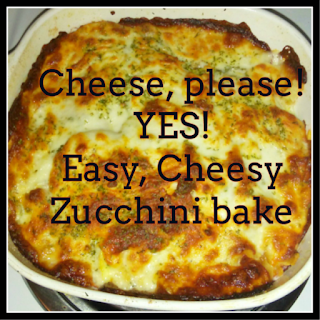 Again, zucchini, squash, seasoning, hold off on cheeses until last! Now, you will sprinkle on your crumbled crackers. I used Aldi's brand "Ritz"(cause they are the best) and it was about half of a sleeve. Pop it in the oven for about 20 minutes, or until your cheese is melted or golden to your taste. I actually had 0 complaints! That is a total score for momma! Everyone kept raving about how good it was and..."When can you make it again?" It really is super simple and you can always play around and mix it up to your own tastes. My favorite was all that gooey cheese and I am partial to the outside section and all that golden crispiness! 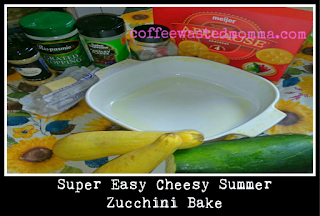 The zucchini got soft, but not enough to make it that yucky mush, so I wouldn't go more than 20 minutes to bake. Also, I am a firm believer in everything keeps its skin except bananas, oranges, and onions, so that may have helped the zucchini keep its texture. I'm not 100% sure, but it worked for me! I hope y'all will give this one a try and definitely let me know. How did you like it? Did you change anything up? Will you make it again? Inquiring cooks want to know! That would work also. it's just for the crunch factor. You could probably do the fried onions too.